The newly privatised investment bank that was founded by the Government to develop renewable energy in the UK has quietly ditched this country. A pledge to invest in Britain was scrubbed from the Green Investment Group’s (GIG) constitution on the day of its takeover by Australian investment bank Macquarie. The Government sneaked in the change before handing control to independent trustees who would have had to vote on the matter. It is believed the change was made in order to help the hotly opposed sale to Macquarie, which has made no secret of its plans to use the bank to invest heavily abroad. 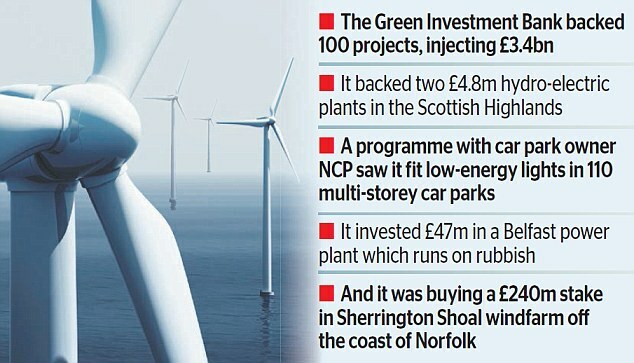 Before it was taken over by Macquarie, the stated ‘green objective’ of GIG, then known as the Green Investment Bank, included investing in projects that reduced greenhouse gases in the UK and protected the environment. 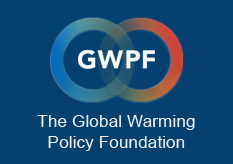 ‘It said the board would consider investing in projects ‘likely to contribute to a reduction in greenhouse gas emissions in the UK and globally’, but in articles of association filed at Companies House – which outlines the purpose of a firm – the UK has been removed from the wording.